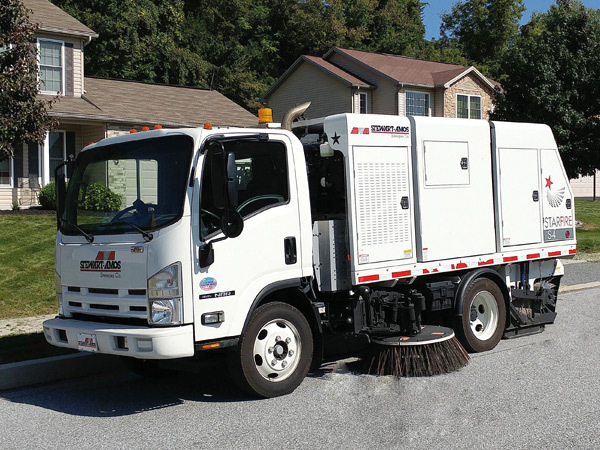 The S-4c is a heavy duty full-featured 4 yd3 dual engine mechanical broom street sweeper that is mounted on a highly-maneuverable cab-over chassis. 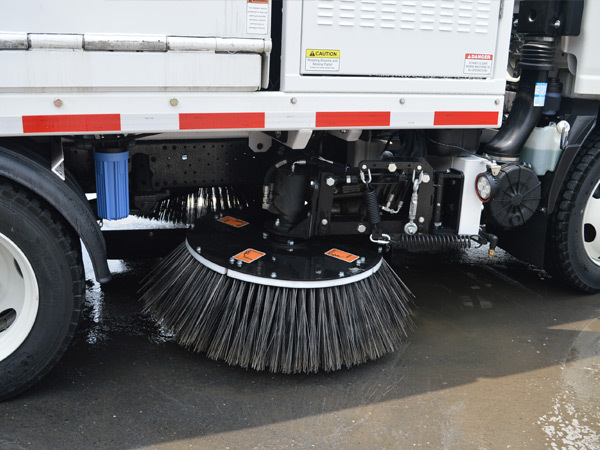 It’s as productive as sweepers mounted on larger chassis yet does not require a CDL to operate. 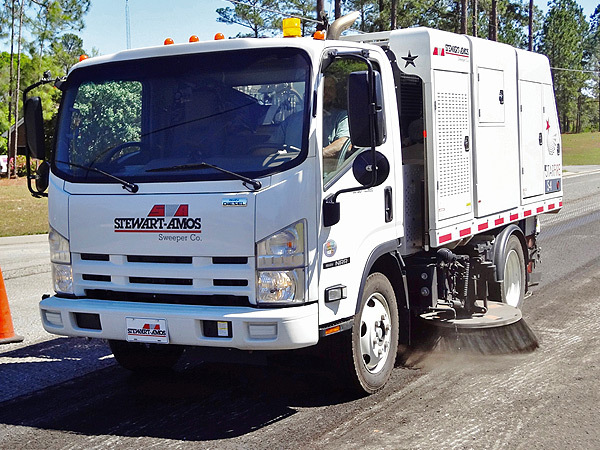 Manufactured with reliability and durability in mind, the S-4c is capable of traveling from jobsite to jobsite at highway speeds. 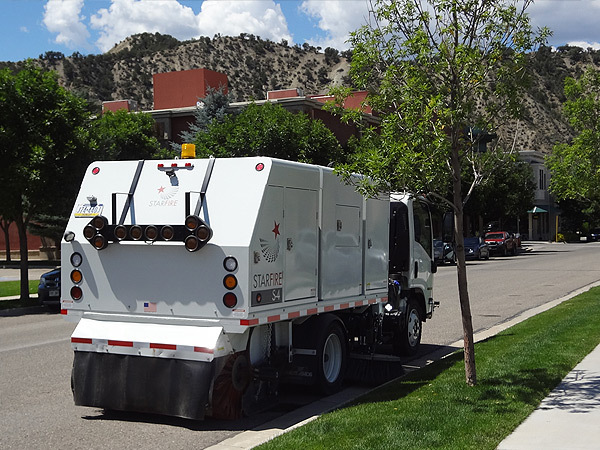 Its compact design makes this sweeper the perfect choice for cleaning confined city streets, cul-de-sacs, construction sites, and milling jobs. The environmentally conscious S-4c is SCAQMD PM-10 Rule 1186 Certified. Off-set hydraulic elevator drive motor is protected against impacts. Vertically-mounted control panel protects against liquid spills. Panel is 6-way adjustable for easy & ergonomic viewing. One-touch sweeping allows for operator to preset functions. Brooms raise automatically in reverse. 200 gallon water tank with 3.6 gpm electric diaphragm pump & elevator wash-down system are standard. Spray nozzles: 2 per curb broom, 4 on main broom & 4 on front spray bar. Heavy duty outer frame wall tubing distributes component weight across entire frame & chassis. Steel plate, C channel inner rail system interconnects with outer frame to distribute weight of main broom, water tank & elevator. 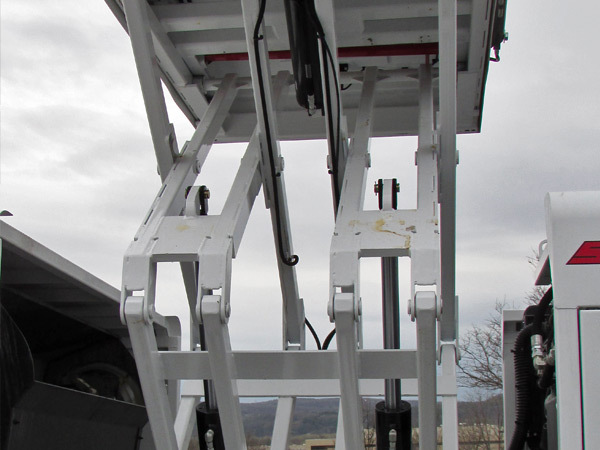 Elevator auto pivots up to 10'' over fixed obstructions preventing impact damage. No operator judgment required. Cast iron gear pump is more tolerant of heat and contaminants, making it simple & economical to troubleshoot, repair or replace. 59 HP Kubota turbo-charged diesel engine with high temperature/ low oil pressure auto shutdown. This engine is quiet and fuel efficient. 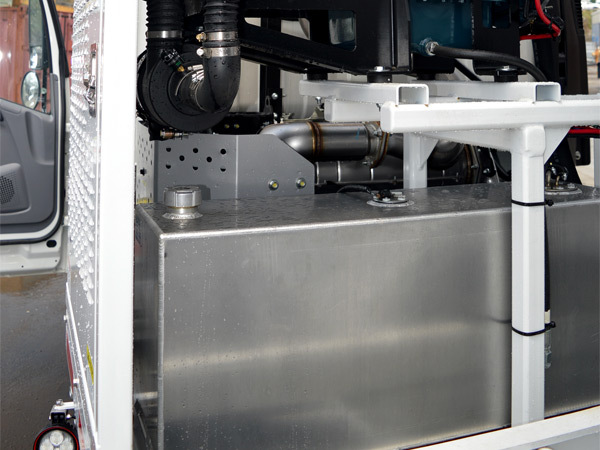 “Effectively simple” electric-over hydraulic system with built-in hydraulic pressure gauges for ease of service. 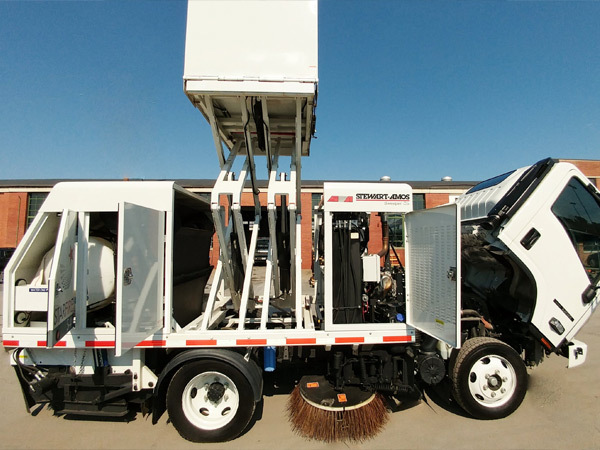 Mounted on a 19,500# GVWR cab-over chassis with short 109″ wheelbase. 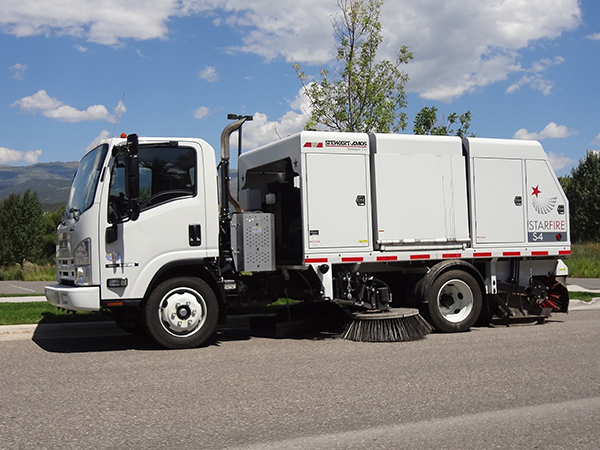 This unit offers extremely tight (16′9″) turning radius & excellent forward visibility. Optional air ride suspension is available. Larger 36-gallon fuel tank allows for longer run time & increased productivity. Front & rear lockable canopies protect components from passing branches, elements & vandalism. Canopies prevent algae growth in water tank which can clog spray nozzles. Electrical relays & fuses are protected from the elements in a sealed NEMA 4 enclosure. The wiring is heatstamped with numbers for easy identification. 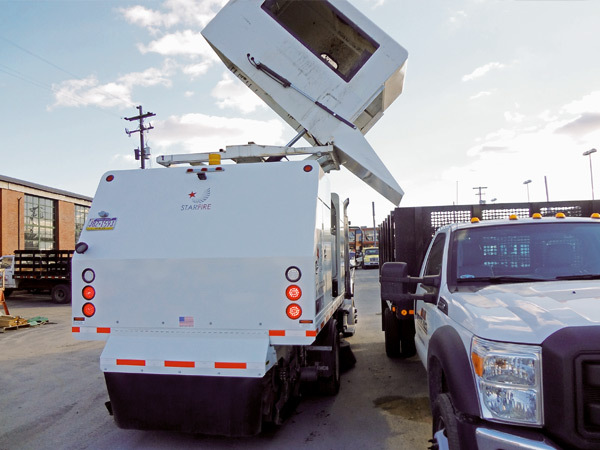 Massive “X” style lift scissors & 4-corner hopper lift ensure exceptional hopper stability when dumping wet, unbalanced, or sticky debris. 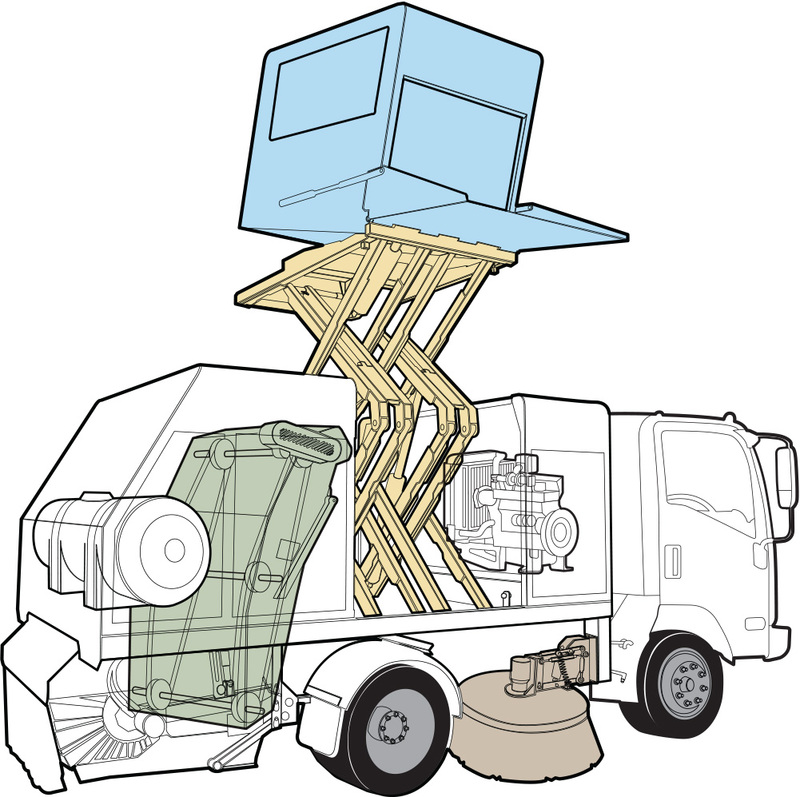 Variable dump height hopper (up to 11′ high) with 44” extra-long dump door easily reaches most dump trucks. An automatic flush system directs high pressure hydrant spray through two spray nozzles focused on the two elevator chains. The spray nozzles thoroughly clean both the chains and entire elevator system. 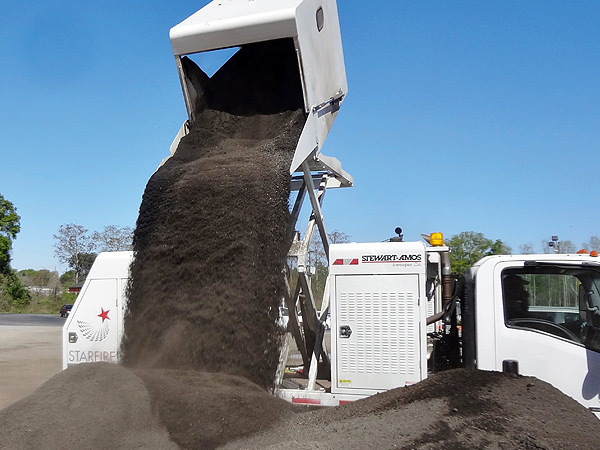 Flexible joints protect both dump cylinders and hopper dump door from potential impact damage during disposal process. 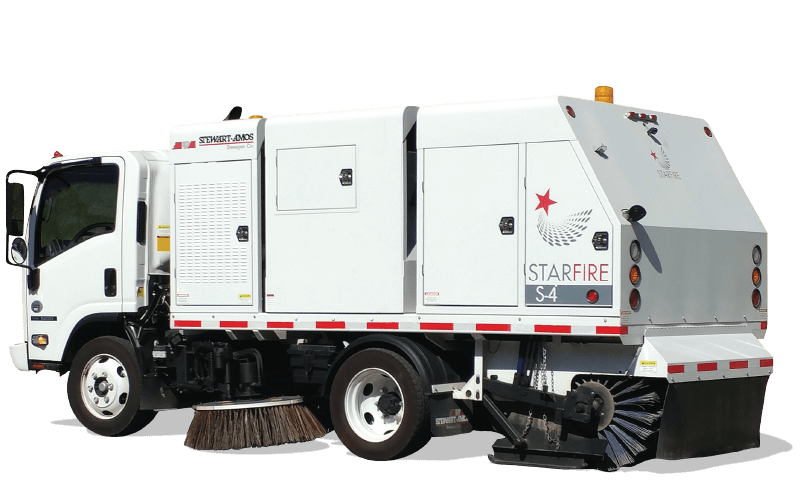 Learn more about our Starfire S-4c Mechanical Broom Sweepers.